CHICAGO—The Civic Orchestra of Chicago, the Chicago Symphony Orchestra’s premier  training ensemble for aspiring professional musicians, returns to the South Shore Cultural Center (7059 S. South Shore Drive) on Sunday, May 1, at 3 p.m. for its ninth consecutive concert appearance, with a second performance of the same program taking place at Symphony Center on Tuesday, May 3, at 8 p.m..
For these performances, one of today’s top young conductors and former CSO Solti Conducting Apprentice Matthew Aucoin leads the Civic Orchestra of Chicago and acclaimed mezzo-soprano J’Nai Bridges in a cheerful program of works by Mozart and Schubert. Aucoin and the Civic open the program with Mozart’s Symphony No. 39 in E-flat Major, one of last symphonies written by the composer, followed by several selections from Mozart’s lesser known opera La clemenza di Tito (The Clemency of Titus) including “Parto, Parto, Ma Tu Ben Mio” and “Deh, per questo istante” performed by mezzo-soprano soloist J’Nai Bridges. Schubert’s lively Symphony No. 3 closes the program. Highlights of her tenure at the Lyric include singing the role of Carmen in the world premiere of Bel Canto, an opera by Jimmy Lopez, based on the novel by Ann Patchett. 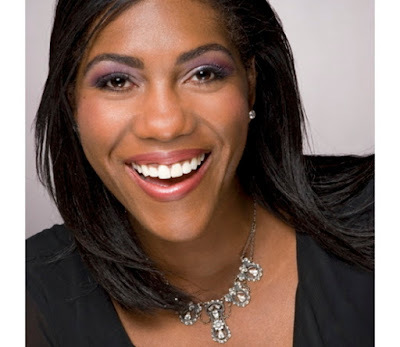 Bridges was also featured in Lyric productions as Inez in Il trovatore under the baton of Asher Fisch and Vlasta in Mieczysław Weinberg’s The Passenger, conducted by Sir Andrew Davis. Other recent engagements include her appearance as the mezzo-soprano solo in Beethoven’s Symphony No. 9 with Gustavo Dudamel and the L.A. Philharmonic and the Simon Bolivar Youth Orchestra in Berkeley, as well as in Ravel’s Shéhérezade with Esa-Pekka Salonen and the NDR Symphony Orchestra in Hamburg. Bridges made her CSO subscription debut in 2014 in a program led by conductor Matthew Aucoin and has also appeared on the CSO’s Chamber Music series at the Art Institute of Chicago. The Civic Orchestra of Chicago has presented annual free concerts at the South Shore Cultural Center since 2009 and also offers a series of free orchestra concerts at Symphony Center and chamber music performances in a variety of venues across the city. For more information about Civic Orchestra performances, visit cso.org/civic. The May 1 Civic Orchestra concert at the South Shore Cultural Center is free and open to the public. No tickets are required, but the general admission seating is limited. The May 3 Civic Orchestra concert at Symphony Center is free and open to the public but tickets are required for this concert. More information is available at cso.org or by calling 312.294.3000 Artists, programs and prices are subject to change. Sunday, May 1, at 3 p.m.
Tuesday, May 3, at 8 p.m.